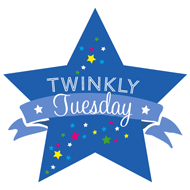 Toddler Thursday: Sharing a Bedroom | How Do You Do It? We are in the midst of room-sharing woes. My ID twins are 6 and a half and have always shared a room. For the better part of six months now, it has turned into a total nightmare! They bicker nonstop and I think some space is really necessary because they are together 24/7. (Their school has only one class per grade so we can’t seperate them there.) We are a family of 5 in a 3BR house too so we put one to bed in their shared bedroom and one to sleep in our bed. When my husband and I are ready to sleep, we transfer her back into the room with her sister. Clearly, this is not sustainable so we are deciding whether to move or add on a bedroom. I hope you are able to make it work for your family! The move is this weekend. All three kids have been throwing crazy tantrums for the last two weeks. I think they sense upheaval coming. Wish us luck! My twins shared the same room until they were teens. They actually wanted to. Separating them while they are young would cause too much anxiety. Even in elementary school, they would sometimes share the same bed. I would hear one ask the other if he could get in bed with him. So sweet when they are little.